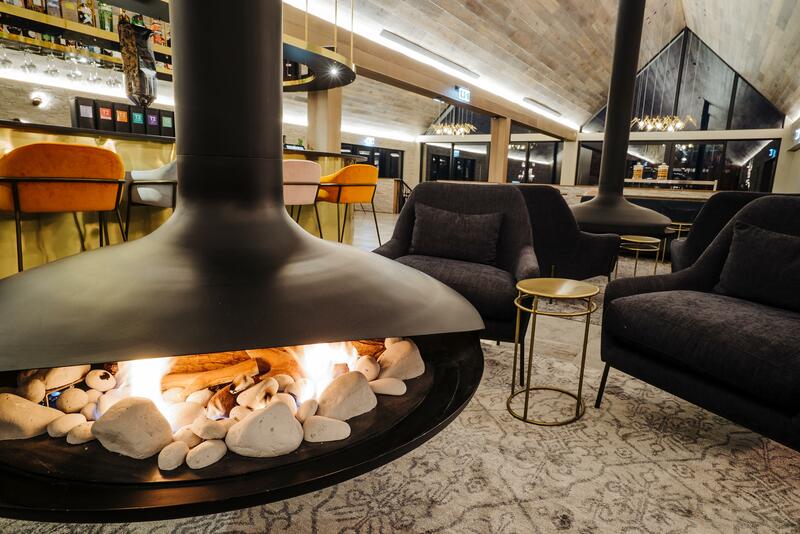 Queenstown’s newest boutique accommodation, Kāmana Lakehouse, has this week opened, following a multi-million-dollar brand development by owners Coherent Hotel Ltd.
Queenstown’s highest altitude boutique hotel opens, Kāmana Lakehouse. Kāmana Lakehouse is set to be the flagship for future new Kāmana properties, that will each reflect the distinct environment of its New Zealand location. The brand is positioned as an independent boutique hotel designed to create customer-centric experiences in a luxury décor. The setting could not be more ideal for the new brand, as it sits on former Aspen Hotel’s site, a privileged location in Fernhill at the heart of Aspen Grove area. The interiors of the 73 ensuite rooms, located high above Wakatipu Lake, have been developed with the ultimate guest comfort in mind, featuring contemporary design, highest quality beds, plush furnishings and luxury amenities. The living space, at centre of the property received great attention, being transformed into an intimate social space featuring lounge areas with uniquely designed fireplaces, and floor-to-ceiling windows overlooking a wrap-around deck, the lake and mountains beyond. At the heart of this space sits Nest Kitchen and Bar featuring a circular Art Deco-style bar clad in brass, accentuated by marble finishes and metal accents. 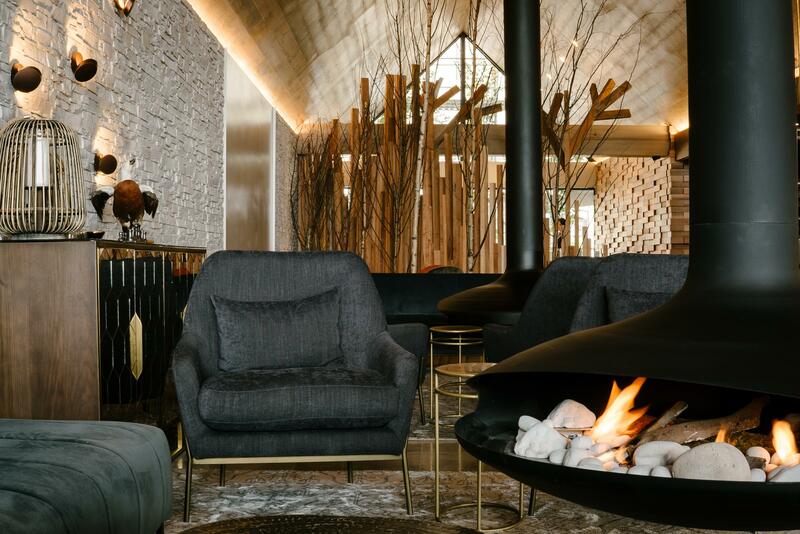 Seductive lighting, highly tactile furnishings, a customised spiral staircase, real trees are all great design elements coming together to bridge the European mountain lodge look with contemporary Kiwi-inspired natural décor. The interior design, brand positioning and restaurant are all inspired by the Kāmana bird and its natural habitat. The Australasian Crested Grebe or Kāmana [in its Maori name] is a diving bird native to New Zealand’s southern lakes region including Queenstown. A rare and elegant presence on the Otago lakes, it is regarded as a treasure by locals. Furthermore, the Kāmana Lakehouse website features personal stories from interesting and pioneering locals designed to inspire visitors with Queenstown’s adventurous spirit, something a photo gallery of images alone cannot convey. General manager Richard Crouch, who was previously Aspen Hotel’s GM, says the location has finally reached its potential. “The location here with panoramic views across Lake Wakatipu is spectacular, and our product is allowing guests to engage with that in a real way. Richard says that as well as the lake views, Kāmana Lakehouse reflects Queenstown’s spirit of adventure, at the same time offering the perfect comfortable retreat in an elegant setting. “The room décor is modern with a high level of attention to detail including modern connectivity, excellent bedding comfort and small indulgent touches such as the Real World New Zealand-made, natural body care. Richard says the hero of this project will be the new Nest Kitchen and Bar, with its second-to-none views. “This will surely become Queenstown’s next hot spot, perfect for a beautiful modern Mediterranean alfresco meal, an après-ski cocktail, or a get together with friends,” he says. Mario Sandulescu, who joined the team in 2017, is the new Hotel Manager at Kāmana Lakehouse. He brings over 10 years of experience with brands like The Ritz-Carlton Hotels and InterContinental Hotels and Resorts, in luxury properties from Europe and Singapore to Caribbean and United States. “Mario joined us one year ago to develop the property repositioning path. Working with the team onsite and Colwall directors he was instrumental in creating the Kāmana Lakehouse brand,” says Richard. Joining the team more recently is new head chef Juan Pablo Aravena, previously from Millhouse at Millbrook. “For me, as a manager, it is re-invigorating to surround myself with such incredible talent,” says Richard. Click here to view the Kāmana Lakehouse website.